I am a big fan of Japanese cuisine but there are some dishes that I am not very fond of. I could name a few off the bat... nattō and shirako. 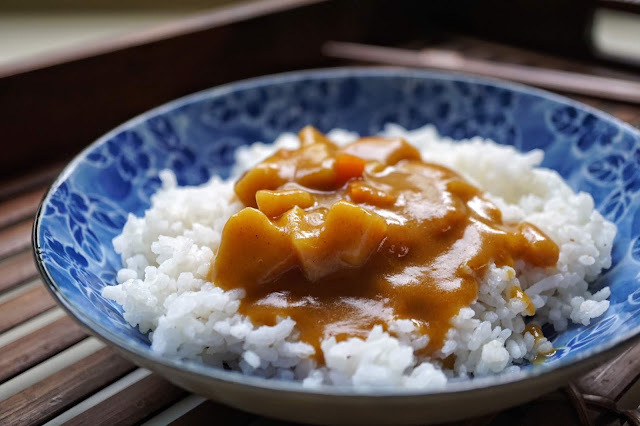 I used to add curry in that list but I grew to love Japanese curry a few years back. And I've recently found another way to have it on a regular basis--with House Foods' curries! House Foods recently sent some of its bestselling curry packs for me to try and I excitedly read how to prepare each one. The Kokumaro, Vermont and Java curry packs come with sealed blocks which you have to add in a pot of sautéed meat and vegetables mixed with water. Since the meat that I wanted to pair with curry was already fried and ready to be dressed in the thick fragrant sauce, I opted to use the Instant Curry mix. And when they say instant, they really mean it! 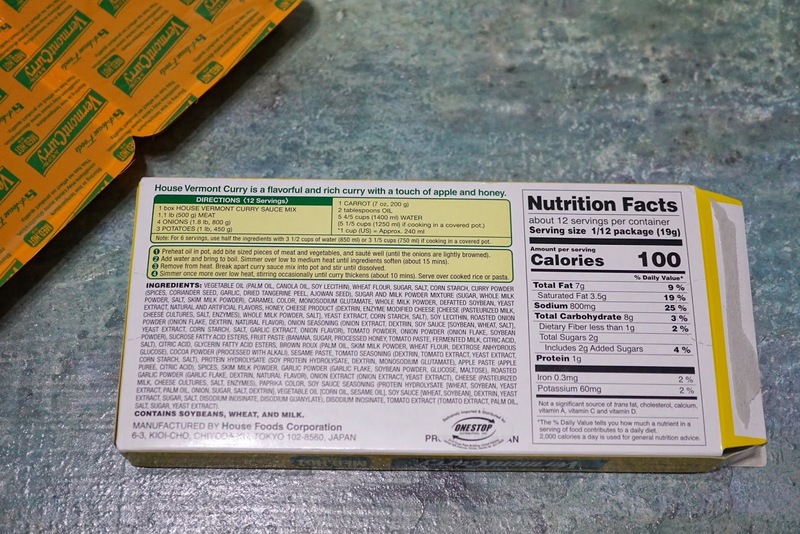 My curry sauce was ready in just 3 minutes! All I had to do was submerge the food grade foil pack inside a pot of boiling water and it was ready to be enjoyed! It even had carrot and potato bits making it bang for the buck! I prepared two bowls to go with this aromatic curry-- one with just rice and another topped with golden brown pork chop. 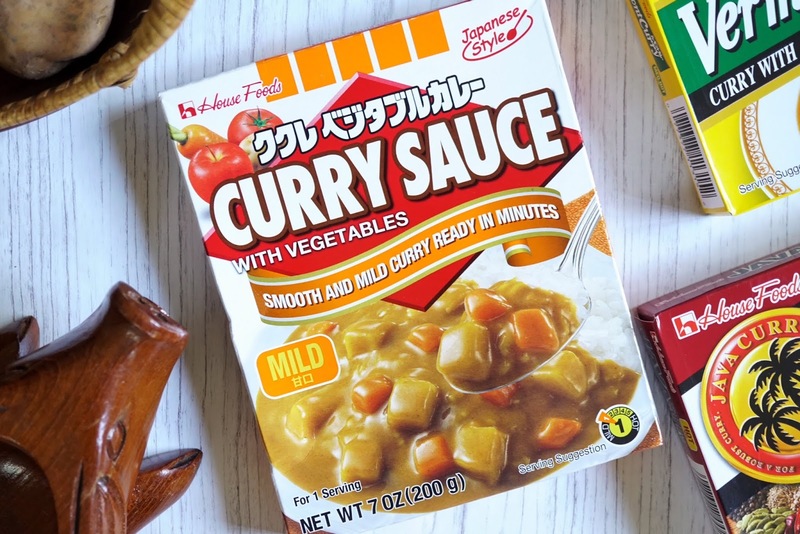 I usually enjoy curry with katsudon or with omurice but I never thought that you can actually enjoy curry with just rice! Its savory flavor paired with fluffy rice is a meal on its own! 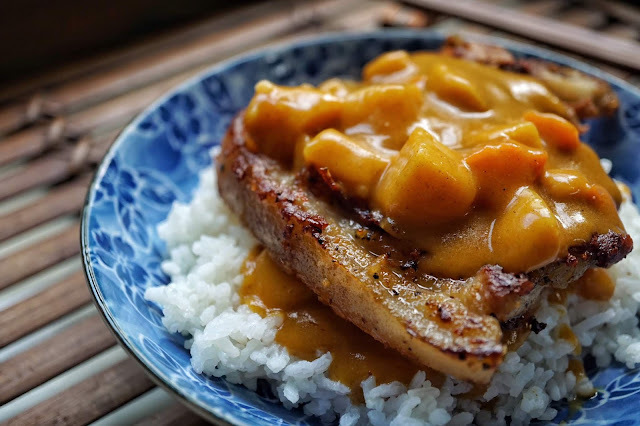 The curry sauce also went great with my pork chop rice. Though the curry overpowered the flavor of the pork chop, I love how the dish had more texture and crunch! It sure is one amazing product for people who have limited time to whip up their own meals. It allows us to have scrumptious food without having to spend so much time in the kitchen. 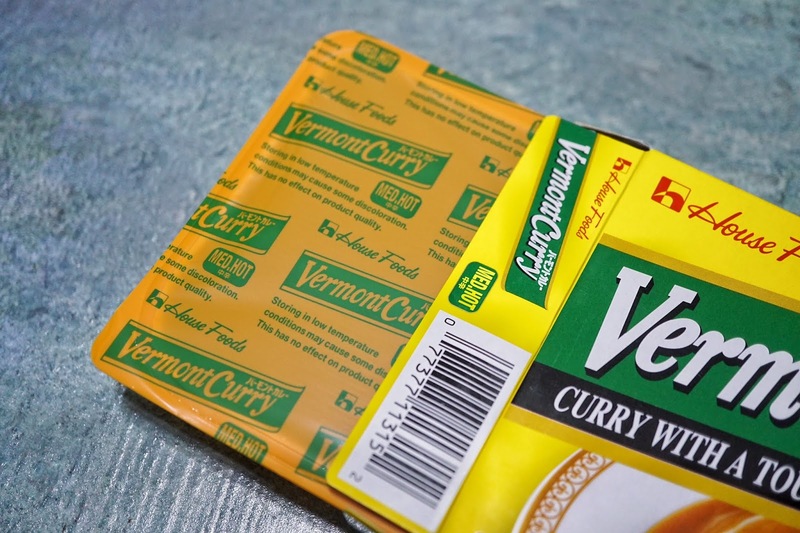 I can't wait to try the other curry flavors and explore using other meats. 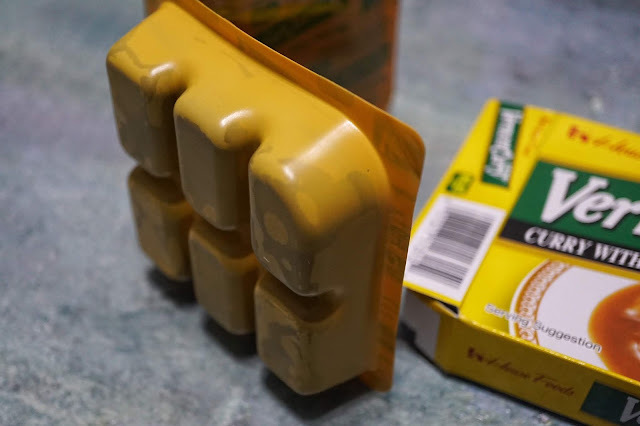 If you're curious with the other variants, here's an easy peasy instruction on how to prepare curry using the blocks. 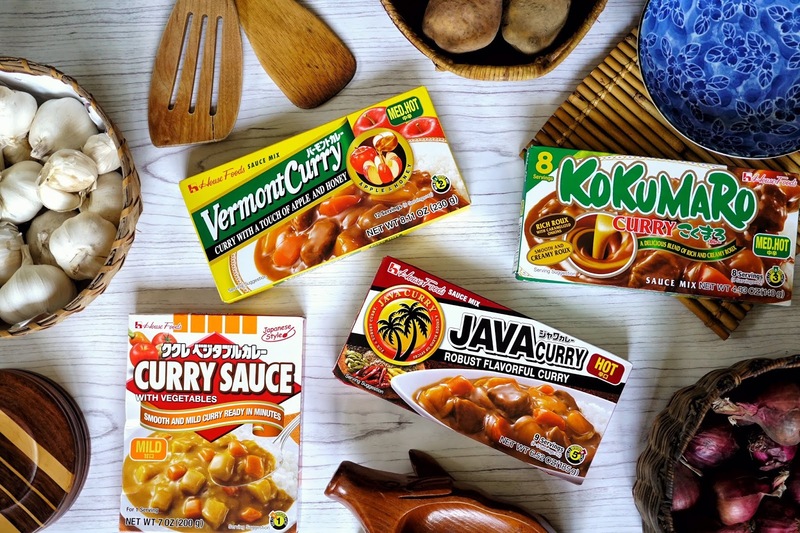 And you can also get your curry fix at home by grabbing a pack or two of House Foods' curry mixes at all SM, Rustan's and Waltermart supermarkets in Luzon and selected supermarkets in Visayas and Mindanao with SRP price of PHP189.50 for Vermont and Java packs and PHP133.5 for Kokumaro. Soban Launches its Meatiest Set Ever!